On Tuesday 16th January 2018, Archbishop Jorge Patrón Wong, the Secretary for Seminaries at the Congregation for the Clergy, visited the Irish College. 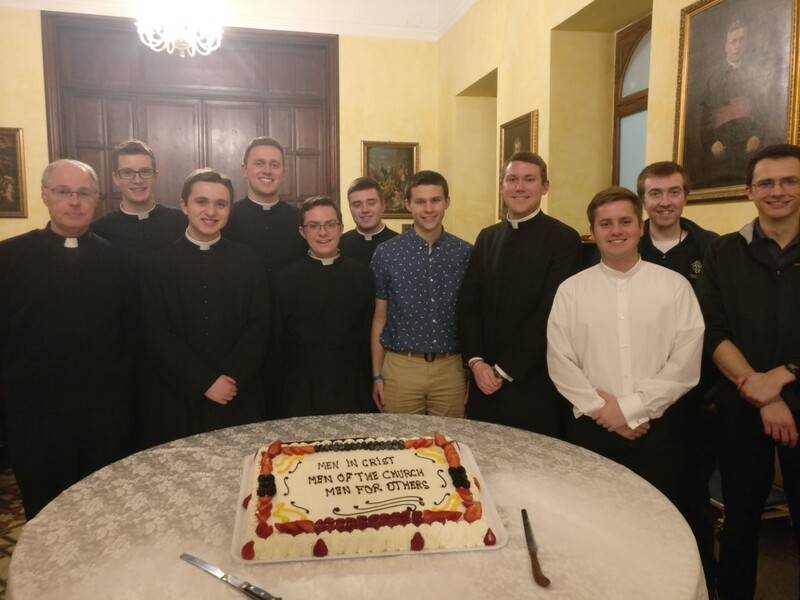 He visited a group of seminarians from the St John Vianney College Seminary, Minnesota, USA, who were concluding their “Semester in Rome” programme. 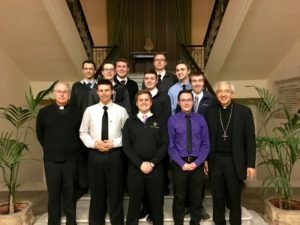 This group spent the Autumn semester here at the Pontifical Irish College from September 2017 to January 2018. Their formation itinerary during their time in Rome included opportunities to make pilgrimages to the burial places of Ss Peter & Paul, cultural trips within the city, as well as throughout Italy and Europe, and including modules in philosophy, art & architecture, and the Italian language at some of the Universities here in Rome. We hope that they were enriched by their time here as much as the seminary community was encouraged and energised by their presence with us over the past few months. At the end of January a new group of “SJV men” will arrive to commence the semester here. 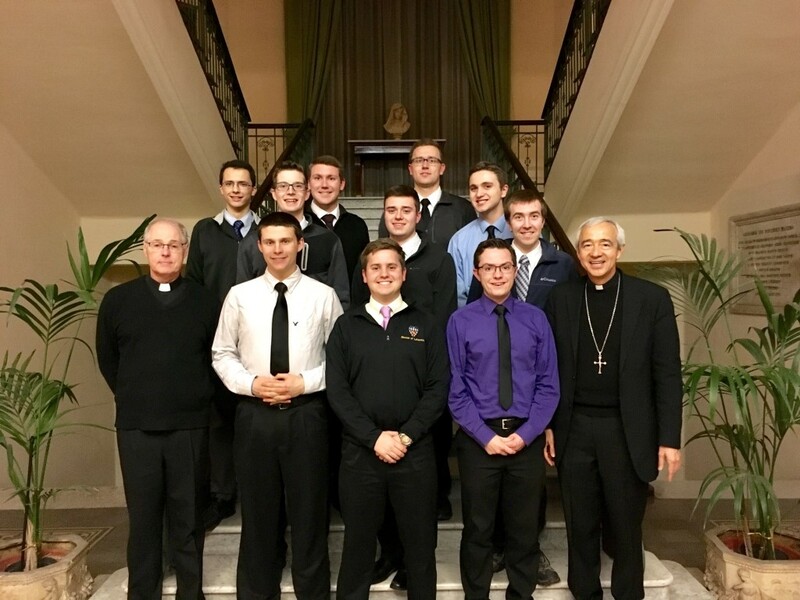 Included in the picture is Fr Paul Gitter, who is the Director of Formation for the St John Vianney men at the Irish College. More photos are available on the Irish College flickr stream.